Why is a healthy community important? What does a healthy community aim to achieve? 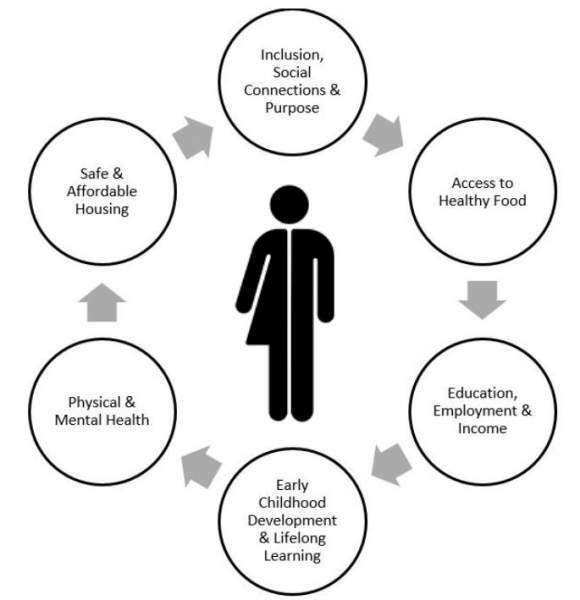 What healthy community factors promote a healthy person? A healthy community is a place that supports residents by providing opportunities that promote healthy lifestyles, social connections, and foster inclusion, safety and positive mental health. It’s a place that makes the healthy choice the easy choice where we live, work, and play. Health statistics in our community show the highest rates of chronic disease in the country, which negatively impacts health, wellness and our economy. It makes good sense for local governments to invest in creating environments that make the healthy choice the easy choice and fosters health, mental health, inclusion, and safety of residents in the City of St. John’s. This initiative needs support and input from various disciplines, sectors, levels of government and local residents from all walks of life. To have a successful Healthy City initiative we need to collectively work together toward one goal – making St. John’s healthier for everyone. Register for the Healthy Communities newsletter to find out about upcoming events, programs and initiatives happening in your neighbourhood. If you or someone you know is working to improve the health of our city, connect with us by email at healthycommunities@stjohns.ca.